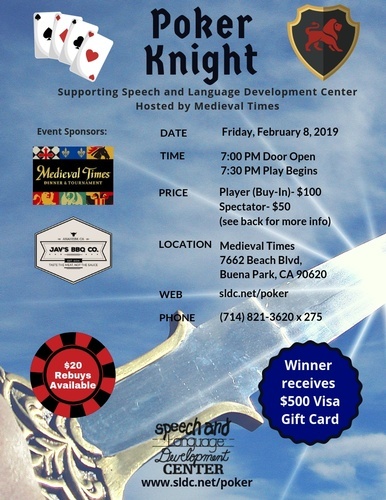 Medieval Times is hosting a Poker Night event to support Speech and Language Development Center. The buy-in is $100 per player and $50 per spectator. The winner will receive a $500 Visa gift card.